The uses of Coriander Leaves are varied in this country but it originates from the region scattered all over the world like the southern part of Europe, southwestern region of Asia and lastly from the northern side of America as well. It comes from the class of herbs known as Apiaceae and is also called Dhania in India and Chinese parsley and cilantro in Spanish language due to its extensive use in Mexican foods. The origin of the word coriander is basically taken from old French language which then again comes from Latin. The plant of Coriander Leaves grows to a height of 20 inches which is precisely 50 cm long and is soft in texture with leaves that vary in shapes and that grow higher and feathery towards the stem and broadly lobed at the lower end of the plant. The flowers are made with several pedicles and color varies from white to very pale pink. The fruit which the plant bears is round in shape and is usually considered as an herb to spice up the food. The perfect climate to grow this plant is early spring or fall when the weather is not hot but quiet cool. It needs the source of the sun in the morning but needs to be kept in shade as the day progresses that is during the afternoon. The preferable soil on which the Coriander Leaves grow is mostly light and well drained soil with the perfect pH balance around 6.2 to 6.8. 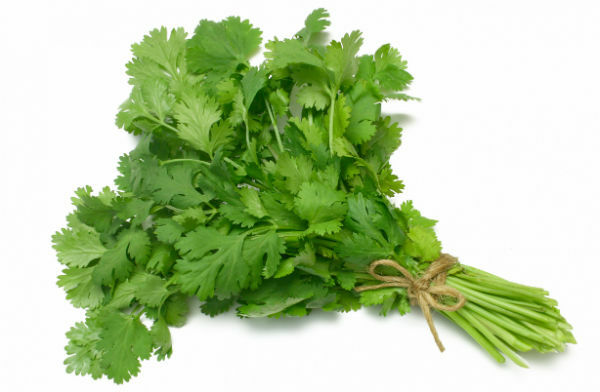 The uses of Coriander Leaves are huge and are mainly related to culinary aspects. It helps in adding extra taste as the leaves which have a strong smell spice up the food to which it is added. It is vastly used in Thai dishes as a paste and also in soups and curries to add that zing. The seeds of the plant are equally used as the leaves but only difference is that the seeds are dried and crushed before using as a spice. Like many other spices the Coriander Leaves is also said to have antioxidant properties and it increases the preserving capacity of the food to which it is added. Besides this it is also said to have anti bacterial properties which saves the body from cholera spreading pathogens and also gives relief to anxiety and insomnia. The usages of the plant are vast including its medicinal properties and culinary affects.